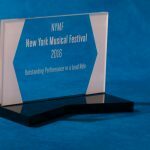 For the 2016 season, NYMF (The New York Musical Festival) Board Member Hugh Hayes commissioned us to work with him, Executive Director & Producer Dan Markley, and Director of Programming & Artist Services Rachel Sussman to create a new award design for the Festival. 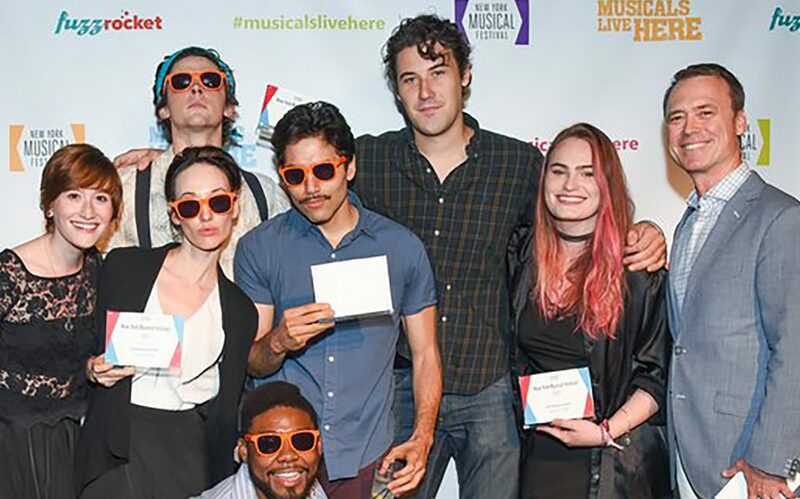 The NYMF Award was given out to many talented people on Sunday night at the festival closing party. We’re visual storytellers. 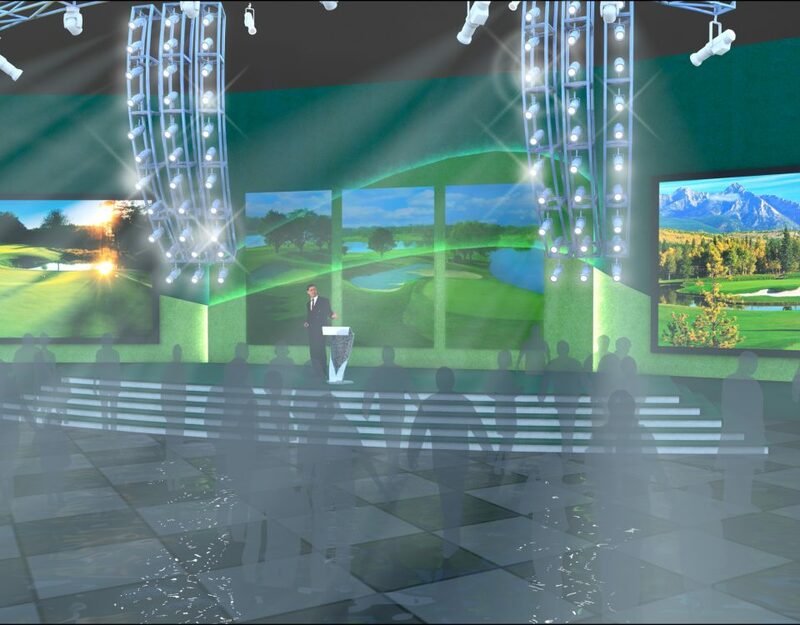 We design sets and lights for film, theatre, television, and corporate events. Like any theatre artists, we start at the script. 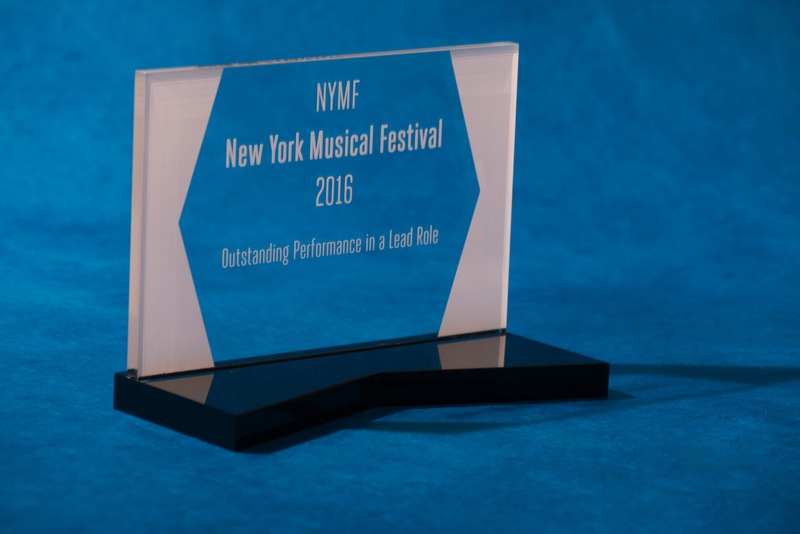 In this case, the script was the new branding and image that NYMF created. The new branding is clean and elegant, it is also instantly recognizable. 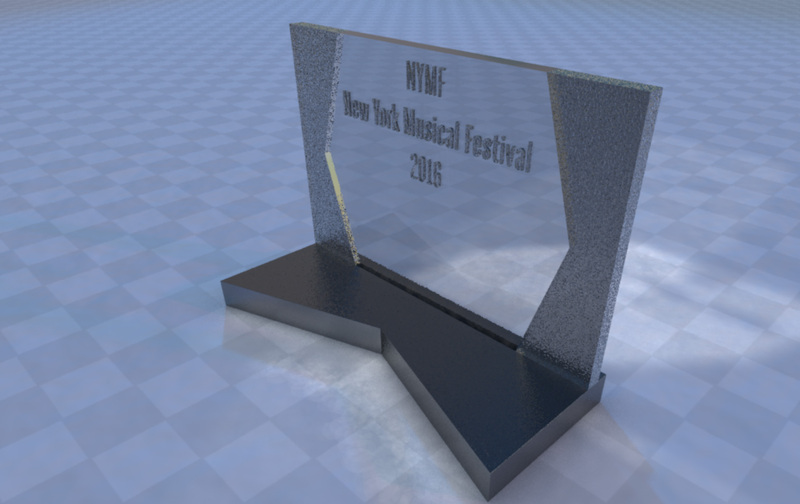 Using the logo seemed to be a great way to quickly identify NYFM and honor the work of the participants. The logo is clean and modern, like any good metaphor, that dictated parts of the design. 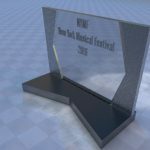 The material also needed to be clean and modern and that opened the door to choosing Plexiglas as a medium. 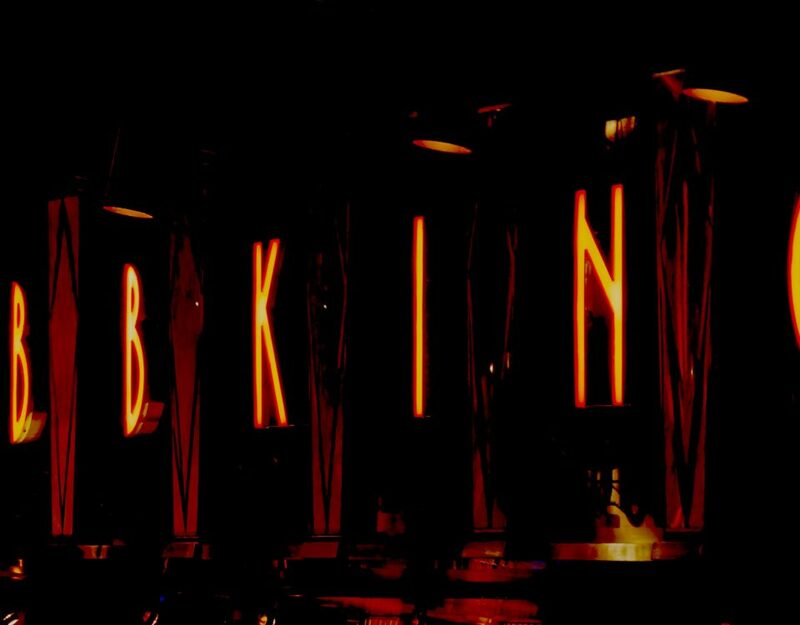 While the logo can be interpreted in many ways and many colors a simple clear and etched look mounted on black seemed the most elegant solution. All in all, the party was a great time, many hard working people from all over the world celebrating success. 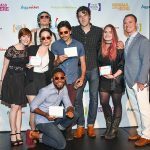 As a judge, I had the opportunity to see almost 20 different productions over the course of the month. That too was a very rewarding experience. I also think I saw some shows, and certainly some talent that many others will see in the future. Broadway World covered the party and all of the winners here.